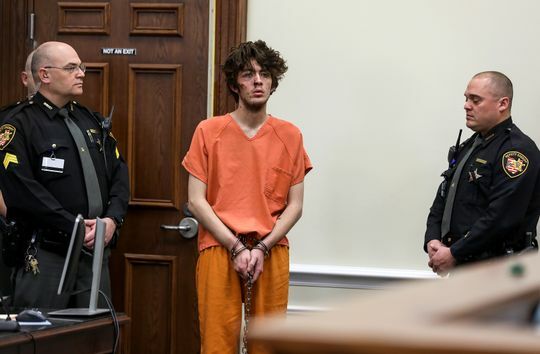 Wade Winn steps into the Clermont County Courthouse on Monday Feb. 4, 2019 for his arraignment after allegedly killing detective Bill Brewer in a standoff the day before. The prosecution seeks the death penalty and bail was set at $10 million. Despite his appearance, Winn said he was not injured or hurt, according to Ravert J. Clark, Winn's attorney. 2019 is proving to be a deadly year for our brave men and women in blue. On Saturday February 2nd, around 11:45 pm Wade Winn placed a 911 call asking for help. He feared that there was an intruder in his home. The police bravely responded. Winn told the dispatcher that he had an assault rifle and a glock pistol. He said he would put them down when police arrived. He also said he was ready to fire if his life felt threatened. He reported that people have tried to kill him before. When the first officer arrived, Winn said he dropped his rifle but was still holding the glock. He refused to put the glock down until he saw the officer. He ended the first call to 911 after asking for the names of the responding officers. He called back and requests a sheriff’s deputy or Ohio State Highway Patrol officer to respond to his home. He stateed that he doesn’t trust Pierce or Union Township police departments. He mentioned killing himself, feeling unwell, fake cops, and blacking out. The deputy greets Winn and asks, “How you doing, buddy?” The deputy asks him to come to the door so they can speak face-to-face. The call ends. He then stopped responding and fired his gun through the wall. The dispatcher was then radioed that an officer was down. Winn’s lawyer said that his client has struggled with mental health issues for several years. He has a record for minor crimes. He was arrested on charges of carrying a concealed weapon and drug possession. This is the first officer from Clermont County Sheriff’s Office that has been fatally shot in the line of duty. Deputy Bill Brewer was shot by Winn and then the apartment was set on fire. He died from his wounds. He gave his life attempting help someone. He honored his oath to protect and serve for 20 years. He left behind his wife and 5 year old son. 2019 is proving to be a deadly year for our brave men and women in blue. 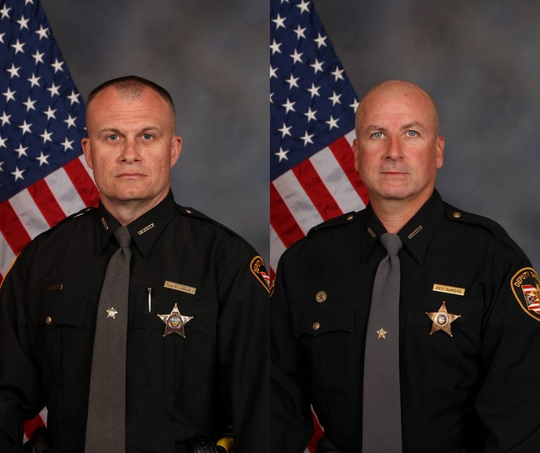 Three law enforcement officers were killed in the line of duty in just one month. Colerain Township Police Officer Dale Woods was hit and killed by a pickup truck during a traffic stop. He was only 46 years old and had three children. He served the community for 30 years. The senseless loss of any life in unimaginable but when it is the life of someone that serves others, it is devastating. Yet these continue to wake up, put on their uniforms, and boldly serve our communities.